A mind is a terrible thing to waste. Are we wasting the creative minds of our seniors? Is the wrong-headed assumption that creativity is entirely the domain of young minds depriving the world of revolutionary ideas? As countries in the West and East alike age, will we marginalize all those senior minds — and waste a precious resource? Consider my own example. I requested, and received, early retirement from my university employer, in 2001. I was then able to help lead a management institute that worked with many global high-tech companies and startups. I learned how to help them diagnose their core problems and make their organizations consistently innovative. I then wrote down what I learned in a dozen books, that I wrote, co-authored and edited, almost one a year. I became a snow-capped idea volcano – and completed the Boston Marathon when I was 63. And today, at 75.5 (the decimal was supplied by an Asian nation, when I applied for a visa) I am working on a collection of short stories titled “What If? The Willing Suspension of Disbelief”. And best of all, I got to meet and study a very large number of creative individuals, snow-capped like me, whose ideas were validated and activated and created enormous value. I could have opted for a rocking chair, which is what society often prescribes for seniors. Luckily I chose the ‘volcano’ alternative. We know a lot about the aging brain. It works a bit slower. It doesn’t remember things that well. But it does have an ephemeral quality called wisdom – the quality of having the magical mixture of knowledge, experience and judgment. I cannot count the number of startup ideas I’ve seen, that embody magical technology, to satisfy a non-existent need. Senior brains avoid that trap. John Goodenough and his team at University of Texas (Austin) “has just set the tech industry abuzz with his blazing creativity”, writes Pagan Kennedy, in the New York Times. “He and his team filed a patent application on a new kind of battery that, if it works, as promised, would be so cheap, lightweight and safe that it would revolutionize electric cars and kill off petroleum-fueled vehicles. This is not Goodenough’s first invention. At age 57 he coinvented the lithium-ion battery that shrank power into a tiny package; such batteries now exist in nearly all devices at home and at work. OK – another genius. Nice. But what is unusual about Goodenough? His age. He is 94 years old. The thing is, we have known for many centuries that senior brains are highly productive and creative. Leonardo da Vinci, perhaps history’s single most creative individual, was making breakthrough discoveries in hydraulics and anatomy when he was 57, in 1509 (in those days, old age!) and when he was 62, a year before his death, he was making plans to drain the Pontine Marshes in Italy. Often, the first step toward breakthrough ideas is smashing an iconic sacred-cow assumption. Let’s discard forever the assumption that only fresh young brains are creative. Let’s tell our seniors, we need your ideas, built on your wisdom and your experience. 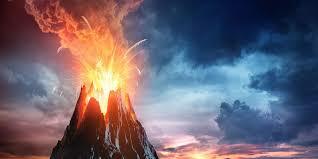 And then, let’s harvest the crop of world-changing ideas erupting from all those snow-capped idea volcanoes. 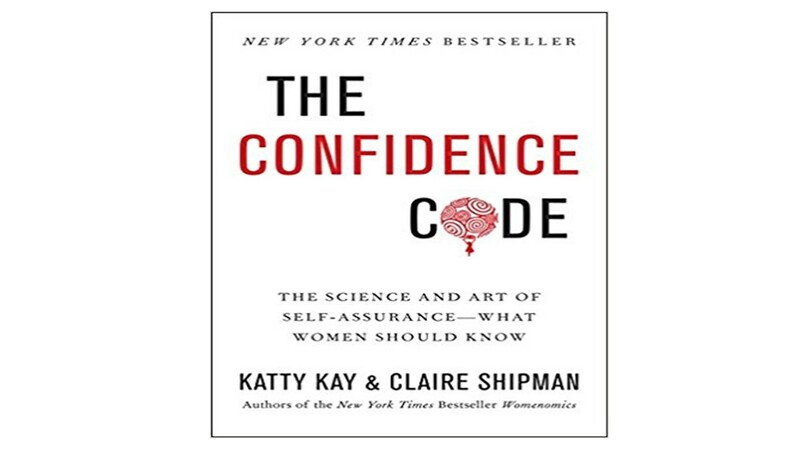 As a constant listener to US Public Broadcasting, I recently heard an interview with two brilliant women, Katty Kay and Claire Shipman, on their book The Confidence Code. * As an educator for five decades, I’ve long believed that women have many superior qualities but are dominated by men, often less capable ones. In their book, says the back cover, “They visit the world’s leading psychologists who explain how we can all chose to become more confident simply by taking action and courting risk, and how those actions change our physical wiring. They interview women leaders from the worlds of politics, sports, the military, and the arts to learn how they have tapped into this elemental resource. They examine how a lack of confidence impacts our leadership, success, and fulfillment”. In the WBUR radio interview, Kay and Shipman observe that while girls have superior academic grades to boys in elementary and high school, the boys are encouraged to be bold risk-takers in their career choices, while girls are expected to provide ‘perfection’ and avoid risk. The cover of boys’ magazines cite how to become an astronaut, excel in rugby, etc., while the girls’ magazines write about “your first kiss”. I once led an outdoor leadership exercise for senior managers, men and women. They had to tackle a tough task. The men were stumped. Standing off to one side, “Michal” said quietly that she knew how to crack it. None of the men paid any attention. I stopped the group and forced them to listen. Michal reluctantly took the lead. And she led the exercise to perfection. This has happened to me countless times, in classroom settings – women know the answers, have the insights, but are reluctant to speak up. Gender bias is not only in wages. It starts at age 8, in the way we socialize our boys and girls. It has to stop! The #Metoo movement, protesting male exploitation of women, is just a symptom of a deeper problem. I just wrote a column about how Israel’s Finance Minister intends to replace the female head of the Bank of Israel, and her deputy, also a woman, highly capable effective leaders, because they punctured his ego with truth-telling. 1. The rate of return on investment in Research and Development is in many cases astronomical. 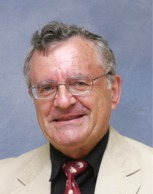 In 1958 Prof. Zvi Griliches found that investing in research in hybrid corn “paid a return of at least 700 per cent”. Few other social investments can rival this. Yet countries continue to underinvest in R&D. 2. The rate of return on investment in infrastructure (roads, transportation, communication, education) is equally astronomical. Yet in the West countries continue to undersave and underinvest in infrastructure. The contrast between Europe, China – and the US under Trump is stark. The EU, not noted for bold innovation, is undertaking a huge infrastructure project that will link Malmo, a Scandinavian port, with Palermo, a port in Italy. This project will help reduce the large gap between the wealthy Northern EU and the relatively poor Southern EU. It will do much to knit the fractured EU together, in the wake of Brexit. And the US? Well, on a recent visit there, I used Waze (an application developed originally in Israel, now owned by Google) to navigate. In the US, Waze informs the driver of potholes. And, trust me – I heard about a LOT of potholes from Waze while driving in the eastern United states. Some of them were big enough to swallow Trump’s ego. 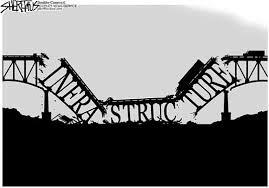 President Trump speaks often about infrastructure. He has plans to fix it, including thousands of crumbling bridges. But here’s the catch. The latest Trump tax cut put a huge hole in the government budget and added $1.5 trillion to the deficit. So there is no money left for infrastructure investment. The solution? Trump thinks he can get private industry to finance it, using tax credits. This is science fiction. Basic economics shows, the return on infrastructure investment is largely “social”, that is, not captured by private investors, but accruing in a diffuse manner to all of us. So why would private money invest in it? China, EU – and the US. Another instance of how the US has become a Third World nation, and China, in the Third World, is becoming First World.